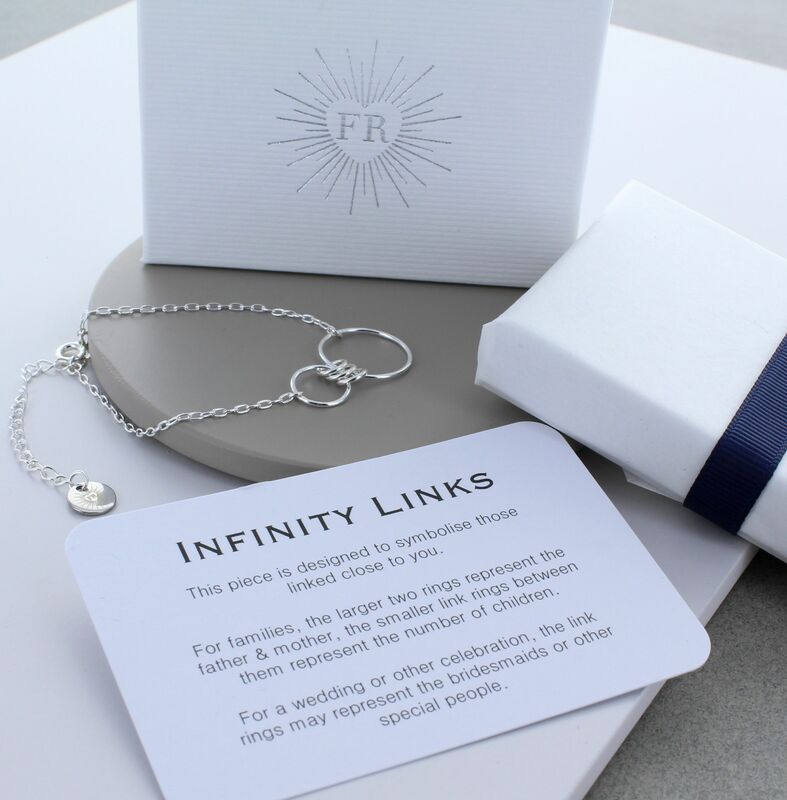 The alrge heavier weight sterling silver and infinity charm necklace would be a perfect gift for any age. The subtle personalisation is the number of link rings that can be added. The small link rings can represent the number of children in the family, the larger rings represent the mother and father. 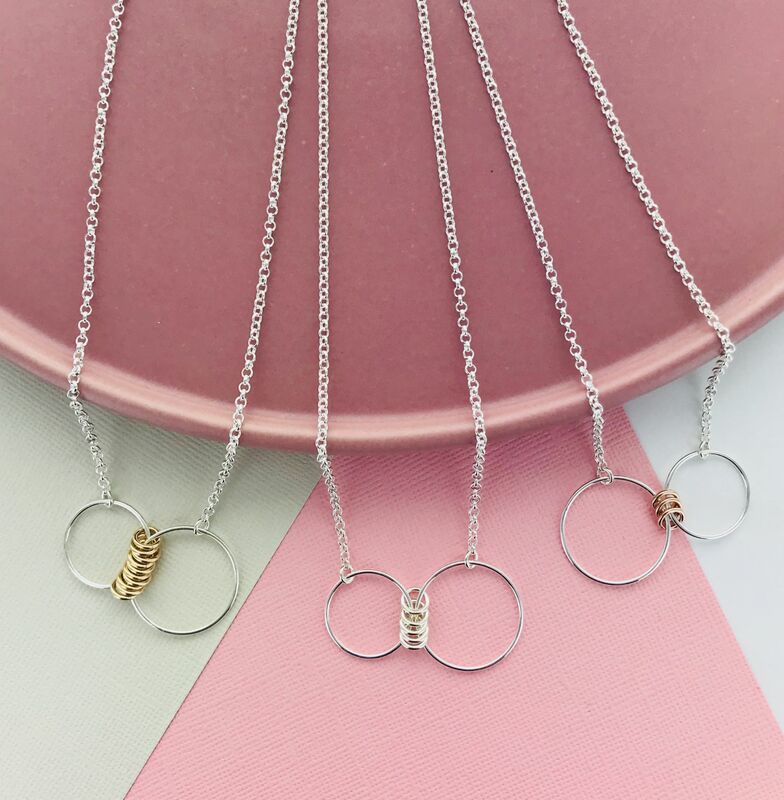 Alternatively, they can represent the number of grandchildren, bridesmaids or special people in your life.The chain is also fitted with a 2" extension chain allowing you to adjust to your ideal size. Additional rings can be added later, by returning to the maker. 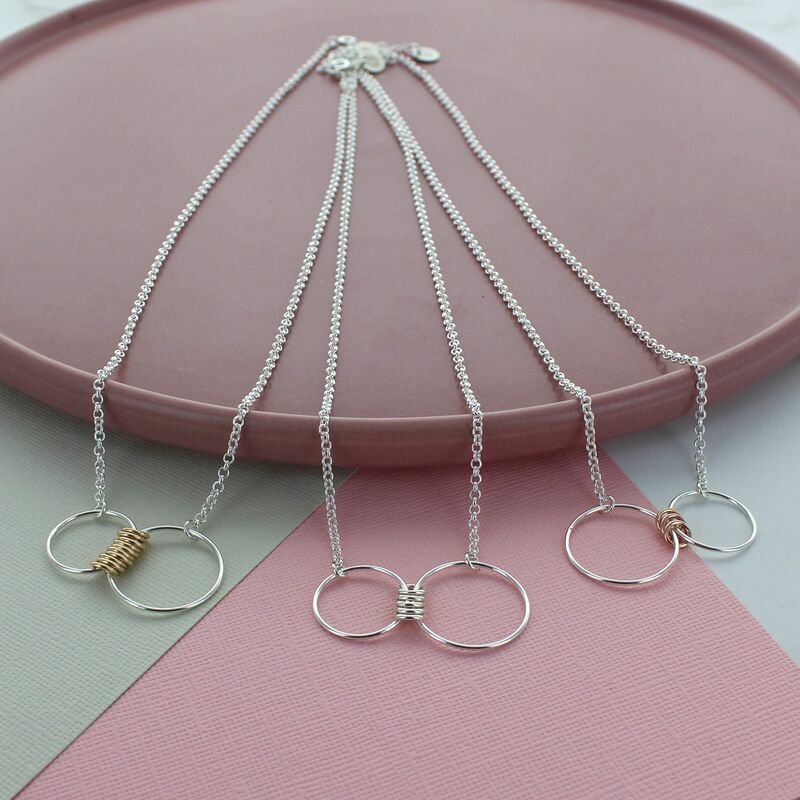 The silver and gold or silver circles sit centrally on beautifully weighty sterling silver belcher chain.